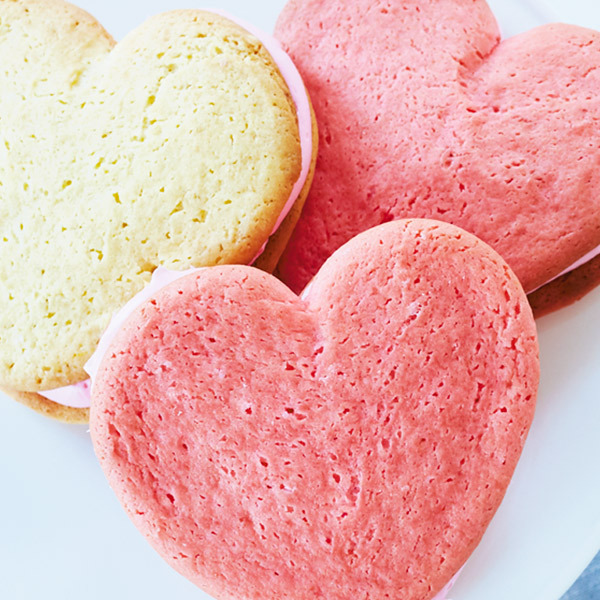 These heart-y whoopie pies go together like you and your Valentine and are a piece of cake to make! Made with a boxed cake mix, instant pudding and butter, this easy whoopie pie recipe is piped into heart shapes, making it pitter-patter perfect for sharing with your sweeties. Preheat oven to 350°F. Beat all ingredients with a mixer until well blended. Pour a cup of batter into a plastic storage bag with the corner snipped off (this will serve as a piping bag). Squeeze excess air out of the bag, and pipe cookies into heart shapes on a cookie sheet covered with parchment paper. Bake 15 to 20 minutes. Cool on baking rack. To fill the cookies, whip a container of frosting with a hand mixer until fluffy and light. Spread the frosting on half of the cooled cookies and top with the other half.